A rumor that the TV show 'Friends' was leaving Netflix almost broke the Internet this week. Why do we love this show so much? Netflix subscribers were thrown for a loop on Monday, when a rumor that the NBC hit ‘90s sitcom “Friends” would be leaving the streaming service swept the internet. Evidently, fans had looked at the details page of “Friends” on Netflix and noted that the content was listed as available only through Jan. 1, 2019. They then inferred that this meant “Friends” was being axed from Netflix, where it’s been available for nearly four years. Netflix responded to the hysteria with a tweet declaring that in fact, no, "Friends" was not going anywhere. The tweet was liked over 188,000 times and retweeted nearly 75,000 times, indicating massive rejoice. I personally don’t really care for "Friends", which makes me something of a social pariah among my peers (I’m 35, and almost all my friends are fans of the show). I’ve seen countless episodes (they’re rather impossible to avoid), yet I just don’t feel a connection with it and I find everyone very annoying. I took my questions to clinical psychologist and relationship expert Dr. Carla Marie Manly as well as to writer Kelsey Miller, author of the book “I'll Be There For You: The One About Friends,” to gain some insight into this phenomenon. 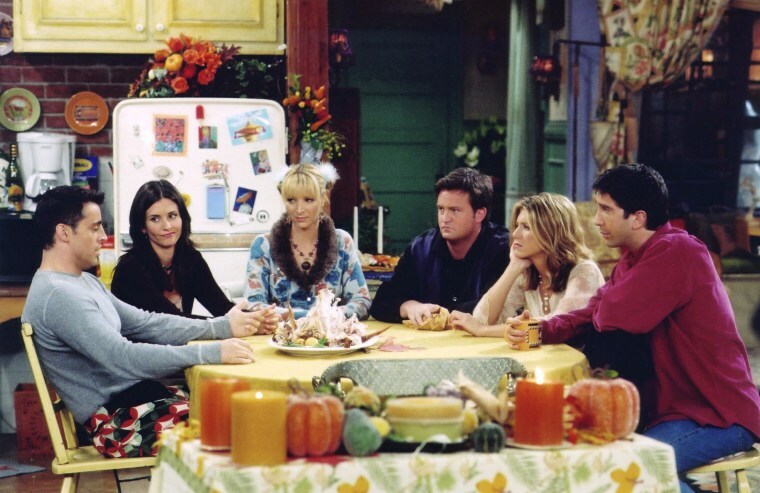 Courtney Cox Arquette as Monica, Lisa Kudrow as Pheobe, Jennifer Aniston as Rachel, David Schwimmer as Ross in the pilot episode of Friends.Warner Bros. Television Production Inc.
Manly, though not much a fan of “Friends” knows it very, very well. She’s essentially studied it because clients bring it up so often in sessions. Yes, a therapist is essentially psychoanalyzing a TV character to better understand her patient. I find this astonishingly brilliant (and bizarre), but Manly suggests this isn’t so out of the ordinary, noting that she’ll often ask clients who may be guarding trauma or other issues who their favorite superhero was as a child. "Friends" may not feature superheroes, but it does showcase what you might call super-neurotics — and it does so in safe, jovial way. "Friends" revels in an environment where nothing “crazy” is really that crazy, and where no quirk or personality flaw, no matter how extreme, can ever disconnect you from the love and support of your best pals. ‘Friends’ revels in an environment where nothing “crazy” is really that crazy, and where no quirk or personality flaw, no matter how extreme, can ever disconnect you from the love and support of your best pals. Miller, who you may call a “Friends” expert given her book on the subject, highlights the cultural pressure points that have driven interest (both old and new). And it’s not just Americans who can relate. Miller notes that “Friends,” has been broadcast in some 200 countries and translated into nearly just as many languages. But beyond all these touchstones and trends that the show so perfectly encapsulated in “Friends,” the main reason the show is such an enduring success is quite self-explanatory — titular, in fact.